Mable House Arts Center houses a modest art gallery that rotates exhibits every six weeks. Art classes for adults and children are offered three quarters a year for every skill level and medium. In the summer the center transforms into Summer Art Camp. The Mable House Complex includes the Arts Center, Barnes Amphitheatre and the historic Mable House property. 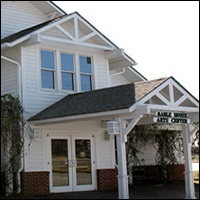 A facility of Cobb County Parks, Recreation and Cultural Affairs Department, the complex offers gallery exhibitions, theatre productions, concerts, field trips, summer camps, tours and meeting space (for non-profit, arts-related organizations).